Hola Amigo, let me introduce you to Chiquito!<br><br>From the moment you walk through our door you can expect a warm welcome, lively atmosphere and a burst of fantastic flavours. Take a look around and you’ll find a host of authentic features that capture the very essence of all things Tex Mex. Put all of this together and you’ve got the vibrant and laid-back fiesta feeling that Chiquito has become famous for!<br><br>Chiquito is the UK’s largest Tex-Mex restaurant chain with 100,000’s of guests tucking into our freshly prepared dishes each week. There’s no place better to spice things up, than Chiquito!<br><br>We pride ourselves on looking after all of our amigos by using amazing incentives, having a fantastic training programme and by offering the Holy Grail... PROGRESSION!<br><br>Your role as a Chiquito General Manager:<br><br>• Lead the team upwards and downwards<br><br>• Ensure results are shared and praise is given to your team<br><br>• Identify rising stars<br><br>• Able to deliver cost lines through accurate sales and labour forecasts.<br><br>• Be responsible (even in your absence) for the management of cash, stock, security and wastage and implement initiatives to control and areas of concern<br><br>• Ensure the guest receives at all times the highest standard of product, presentation and hospitality from yourself and the team<br><br>• Deliver exceptional hospitality, service, food and drink in clean fantastic surroundings.<br><br>If you think you can be our newest amigo then apply now! 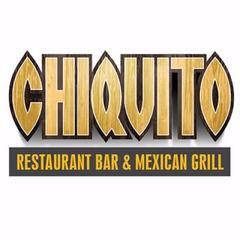 Chiquito - Cheltenham is posting their hospitality jobs on Harri.